M.R. Gair LTD is a local Accident Repair Centre & Independent Car Dealership covering The Shetland Isles at the very top of Scotland. 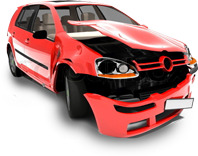 Since 1979 we have been providing expert vehicle body repairs for many types of transportation. Skilled staff and state of the art equipment ensure that no matter what the damage any vehicle restoration can be faithfully undertaken, M.R. Gair offer a wide range of services including vehicle repairs and servicing, air conditioning servicing, car valeting, and much more. Our aim is to minimise any inconvenience to you and make your experience as hassle-free as possible. We will ensure you receive any help you may require and that you are kept informed throughout the entire process. Along with vehicle repair, we are also a local independent motor dealer who specialise in Subaru & Isuzu franchise along with quality used motor vehicles. Mark and the team provide a professional and friendly service with over 30 years of experience both within the motor repair, vehicle sales and the finance industry. Have a look at the vehicles sales page to see the range of vehicles currently available. We will endeavour to help you choose the right car to meet your needs.